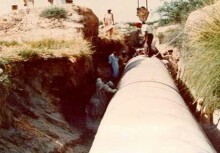 Preparation of a detailed feasibility report assessing the condition and performance of the present installations, the extent of renovation and modification works required with special emphasis on upgrading the existing treatment plants commissioned in the mid 1960's considering the quantity and quality of raw sewage available in the command areas. Assessment of existing sewerage network and proposals for replacement of abandoned sections and sealing of overflows to nallahs. It was a project of large scale sewage treatment. 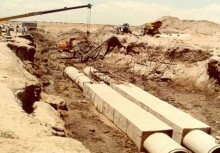 The study or feasibility included refurbishment/renovation and modification works required to rehabilitate the treatment plants, pumping stations and sewer network in order to allow at least twice the original design flow to be treated at each plant. Recommendations were made and mentioned in feasibility report for changes to management, operations, maintenance procedures, process modifications, new and rehabilitation works necessary to uprate the sewers and treatment plants.